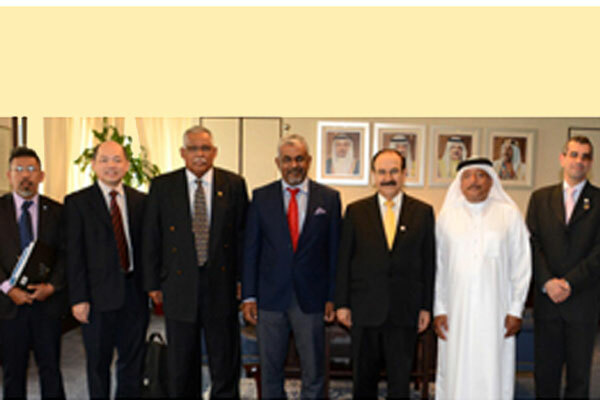 The executive heads of leading global companies Edra Power, Worldwide Holdings and Solar Tech held discussions with Bahrain's Electricity and Water Affairs (EWA) Minister Dr Abdulhussain Mirza on future collaboration for waste-to-energy projects in the kingdom. During the meeting, the visiting delegation briefed the minister on their activities and projects in the field and asked him to participate in existing and future development projects, reported BNA. Dr Mirza welcomed cooperation with local and international companies and added senior officials would always be at hand to meet with investors and support them. The delegation thanked the minister and officials for the hospitality and the kingdom's support for investors in the electricity, water and renewable energy sectors, said the report. Acting director of the Sustainable Energy Unit Alexander Al Samahiji and advisor to the minister, Adel Al Taho, were present, it added.